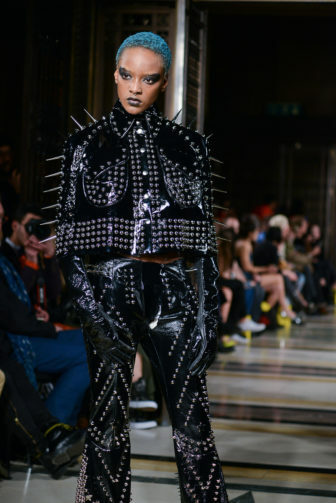 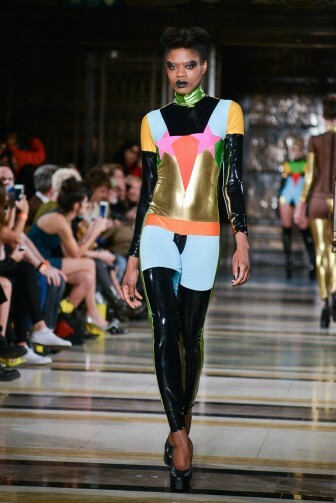 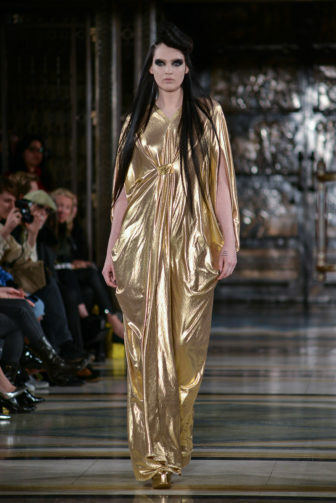 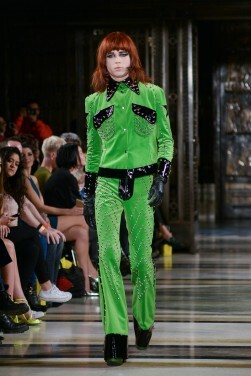 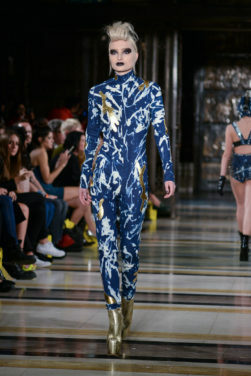 British-born designer Pam Hogg debuted her autumn/winter 16 collection in front of a packed crowd at Freemasons’ Hall last night. 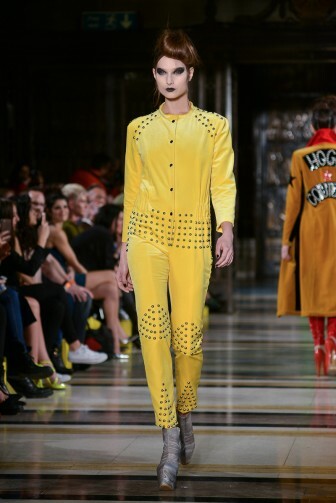 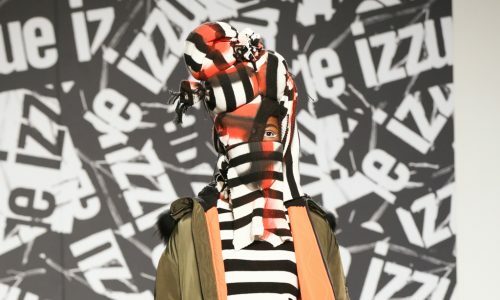 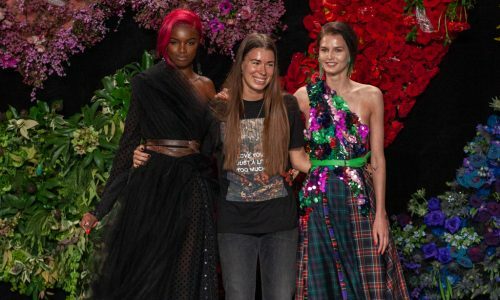 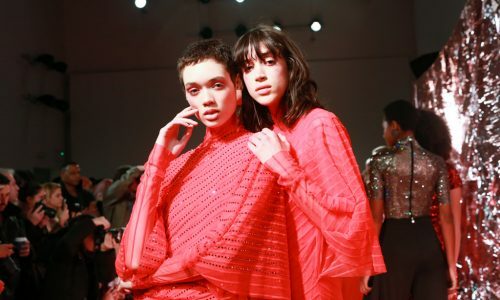 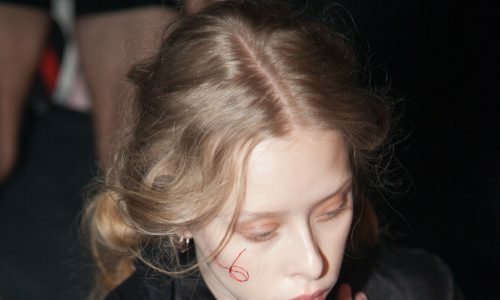 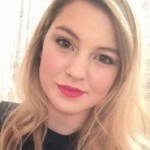 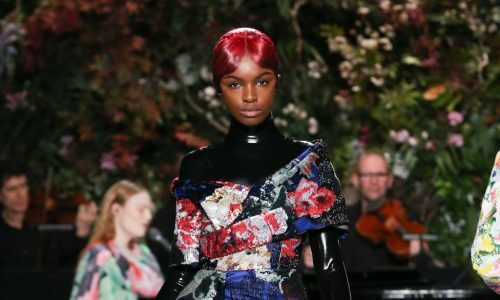 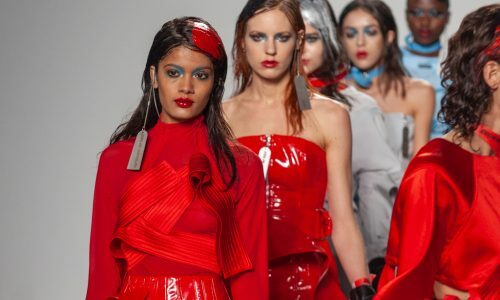 Celebrities including Nick Grimshaw, Jo Wood and Nick Rhodes sat on the coveted front row as Hogg presented her bold collection for the upcoming season. 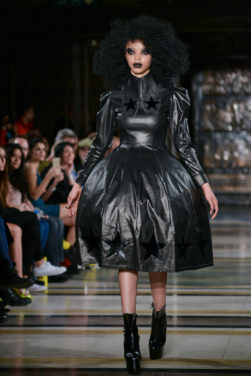 Tough embellishments gave an added edge to Hogg’s latex heavy collection. 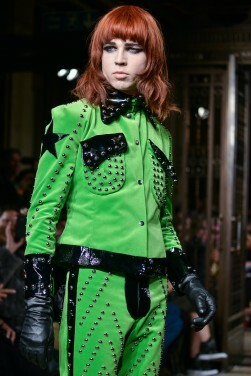 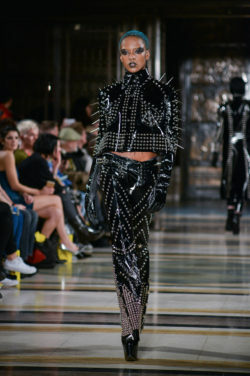 Black latex biker jackets and duster coats were heavily embellished with an array of spikes, whilst the range saw an added pop of colour with the incorporation of multi-coloured and gold latex catsuits. 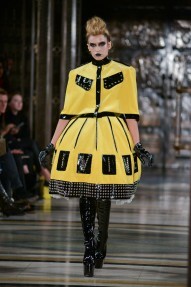 Bright yellow bell skirts, burnt red coats and matching yellow and green two piece suits embellished with stars, broke up the largely black collection. 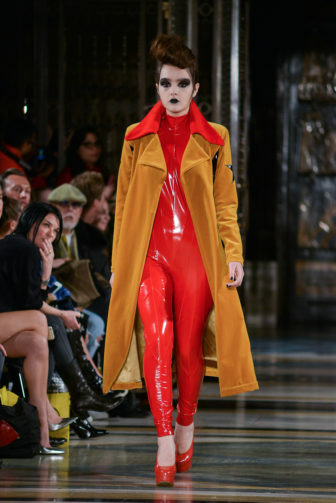 Over the knee latex high-heeled boots and platform heels and smoky black eye makeup and black lips completed the look for autumn/winter 16.